Edward Mabarrack established the company in Adelaide, South Australia in an Edwardstown factory in 1952 creating what has become a trusted and respected name in South Australia for quality hand crafted furniture. Still family owned and operated to this day, Eddie’s son Laurence and grandson Matt are now guiding the company into a new era of modern designs, technologies and materials while naturally still retaining a heavy emphasis on quality, traditional skills and techniques. 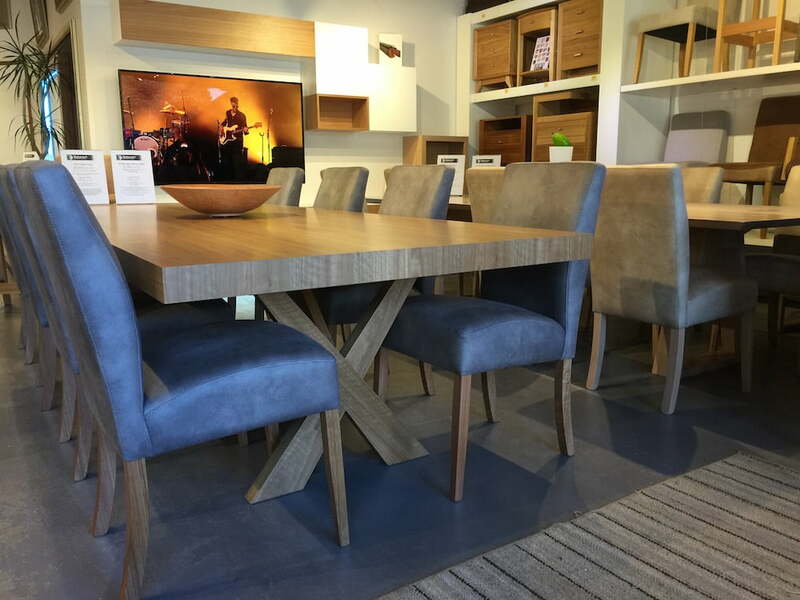 Personalised service from Matt with over 20 years in furniture sales while being a qualified furniture designer and certified cabinet maker is backed by Laurence’s design expertise, renown craftsmanship and 50+ year history in managing a furniture factory. It’s this invaluable, rare knowledge which Laurence is currently passing on to our team of highly skilled furniture makers who also take immense pride in their work and also have a passion for both timber and fine furniture making. It was in 2011 we closed our city retail showrooms and returned to selling straight from the factory door because people were increasingly using websites to investigate their furniture needs. This was perfect for us because now we could offer better value and service with more flexibility at the factory level to offer customers the classic Mabarrack Furniture experience. This website is now our showroom and we are continually adding new pictures of current projects. We never go ‘on sale’, we just offer excellent value, hand crafted, fine furniture all year round. If you want it now, we can offer at least 15% off most display items so there’s always something new to see here at our factory showroom. Open to the public 6 days. Website and email 24/7. The end users of our furniture are very much our preferred customers due to the personal nature of the service and the design in our product. We don’t work with interior designers or architects because WE are the designers… we are highly qualified, very experienced furniture designers. All orders are individually hand made and delivered by the talented team here at Mabarrack Furniture Factory. We are capable of crafting most European and Australian styles at very competitive prices however we are not comparable with mass produced SE Asian imports.